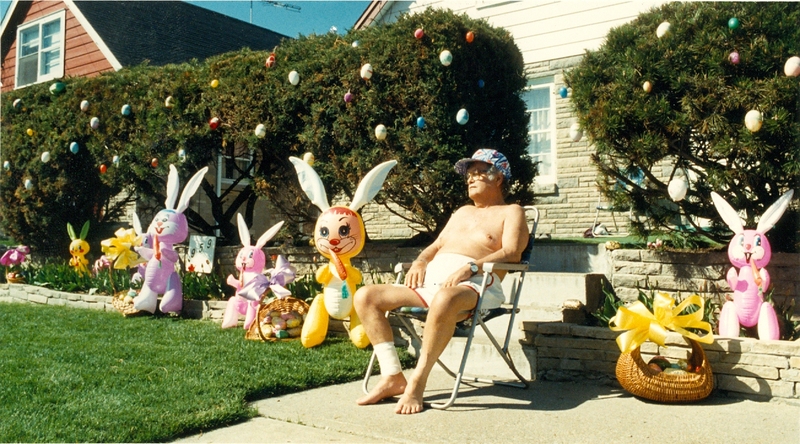 Woodrow MacPhail is surrounded by Easter bunnies. He and his wife used 14 kg of potatoes wrapped in foil to make the”eggs” nestled in their hedge. April 20, 1987. Hamilton Historical Collection. 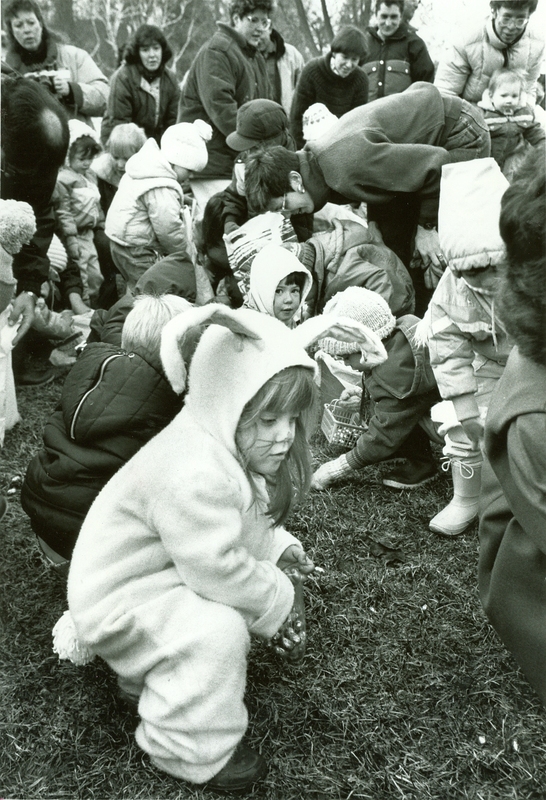 Hamiltonians have had their share of Easter egg hunts over the years, as these photos from the Spectator archives show. If you’re searching for this year’s Easter activities, click here for a list of events. Want to see some other historical Easter Flashbacks? Try these. 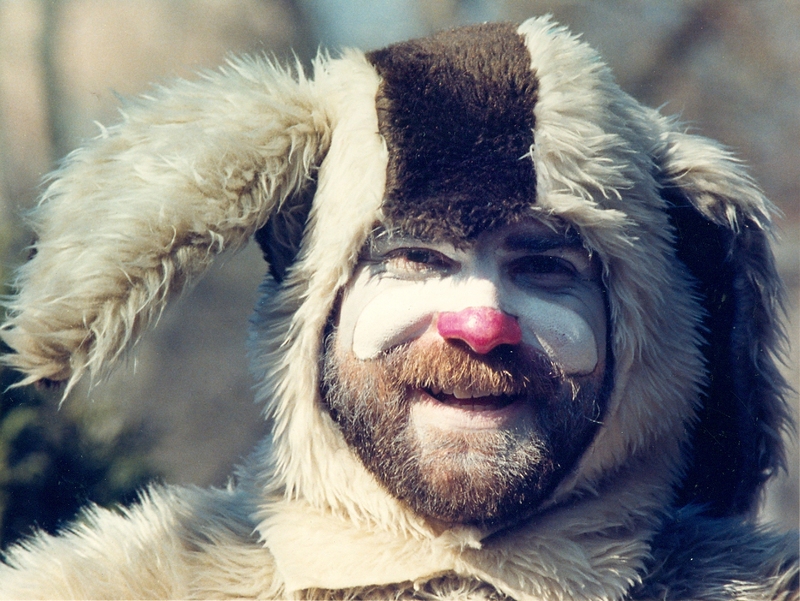 At Whitehern, the Easter Bunny, played by Robert Wininger, was only too happy to help eager children in the hunt for eggs. March 27, 1989. 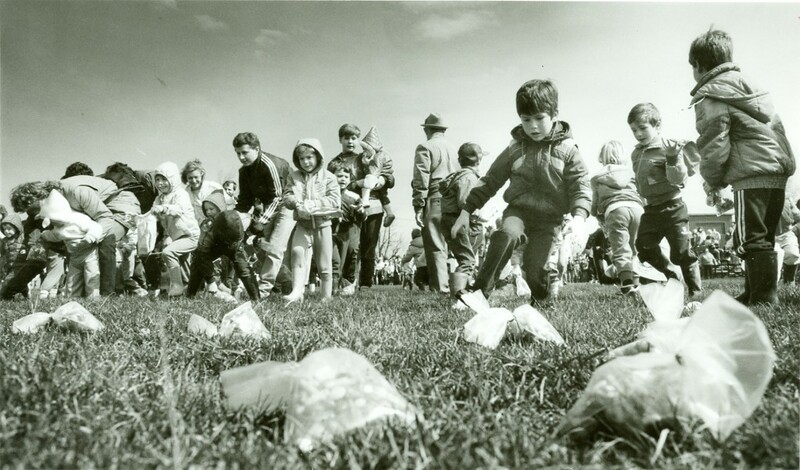  Archived in Flashback and tagged Easter, easter eggs, Hamilton Ontario. Bookmark the permalink.